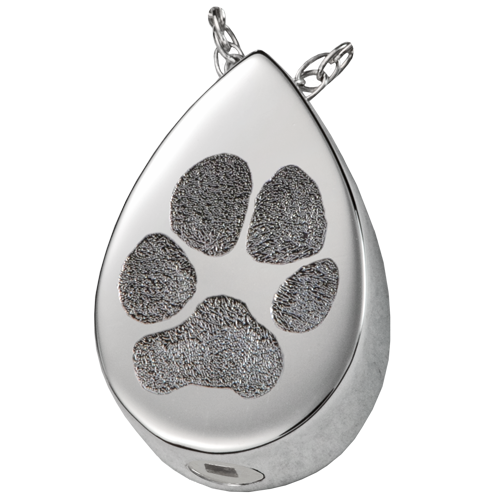 Your pet's actual pawprint made into a classic memory pendant. 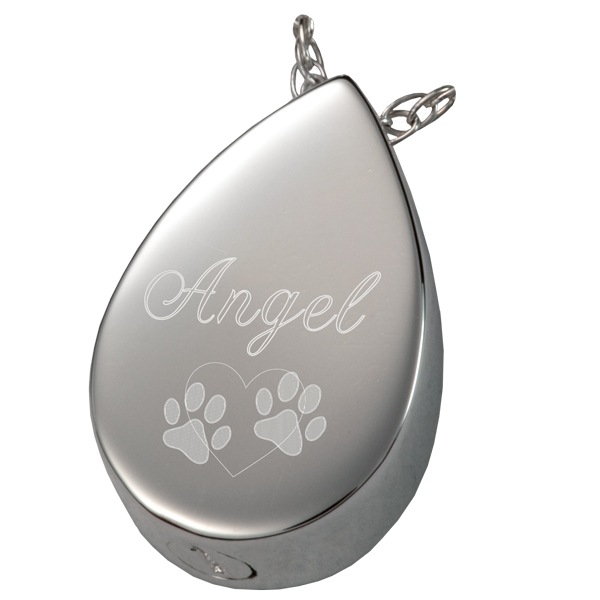 is etched into the metal's surface for a unique remembrance you can wear. 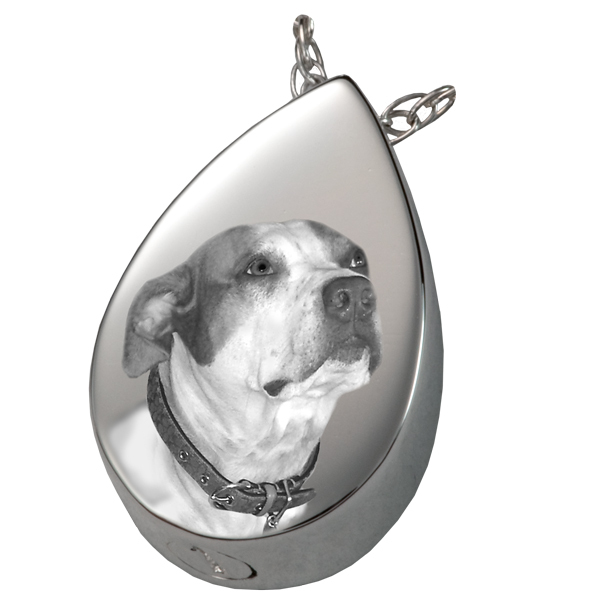 Each cremation jewelry pendant can also be engraved on the back with name and dates or clip art or add a laser engraved photo of your pet. 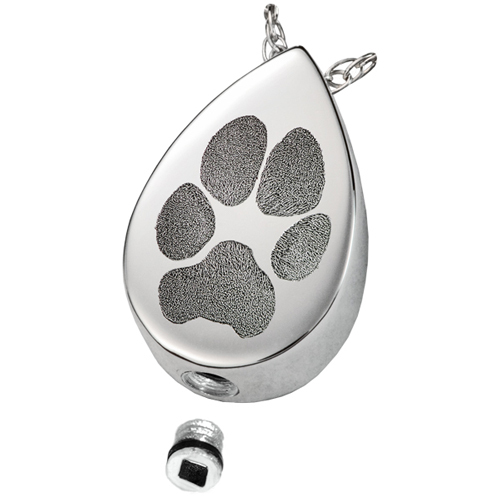 Our precious metal pendants all have a rubber gasket on the screw making it air and water tight. Generally ships 1-7 business days after prints received. A high resolution digital photo works best. 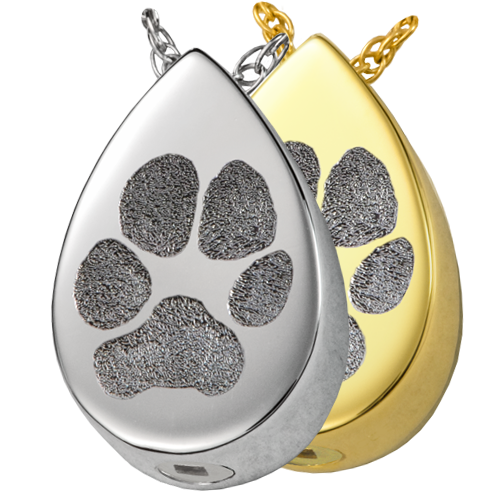 Take a picture of your dog's paw or nose as close as possible without cutting any part off or too close to focus. For best results make sure there is good lighting and sharp focus. Files 1 MB or less; use the File Upload feature. 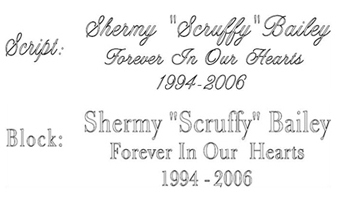 Files larger than 1 MB; place order, then email to service@memorialgallerypets.com. Include order number in subject line. Your print will be carefully touched-up by our in-house artist.